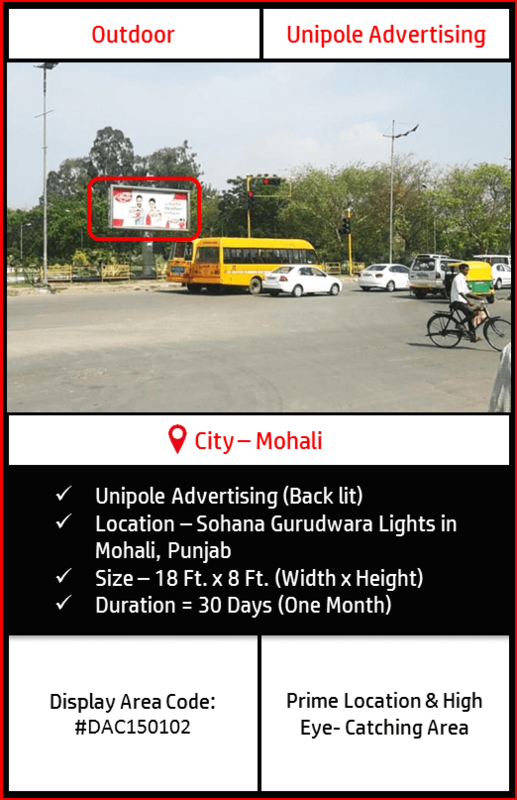 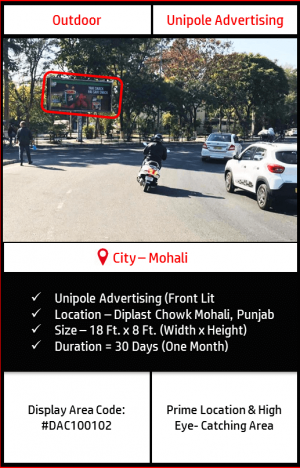 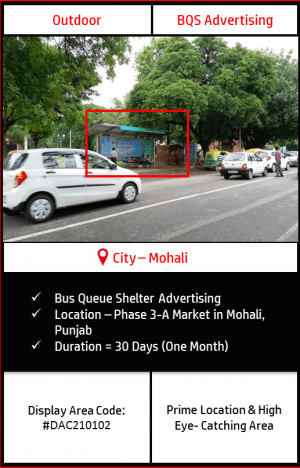 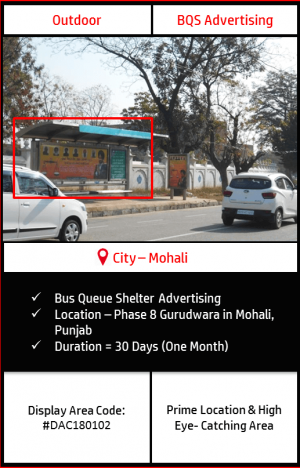 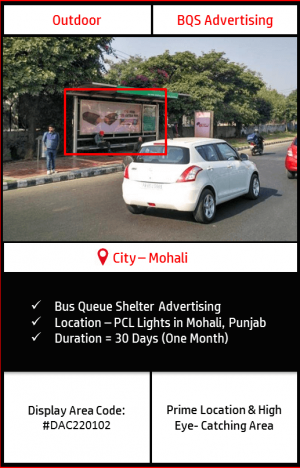 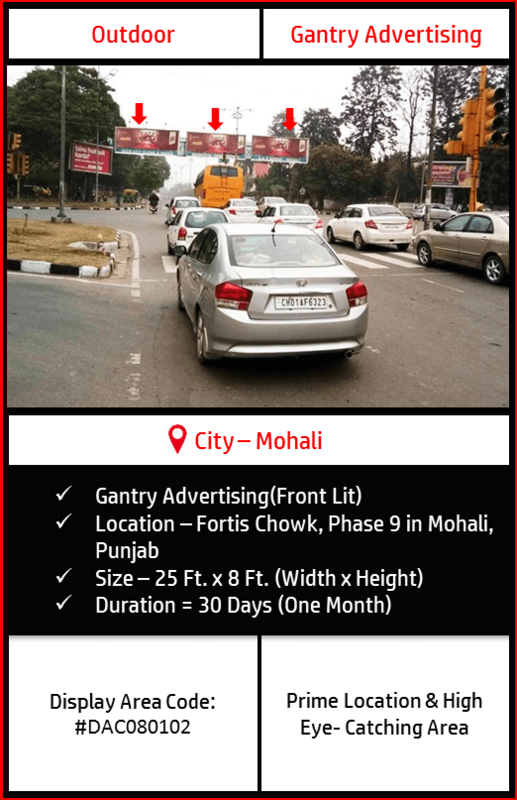 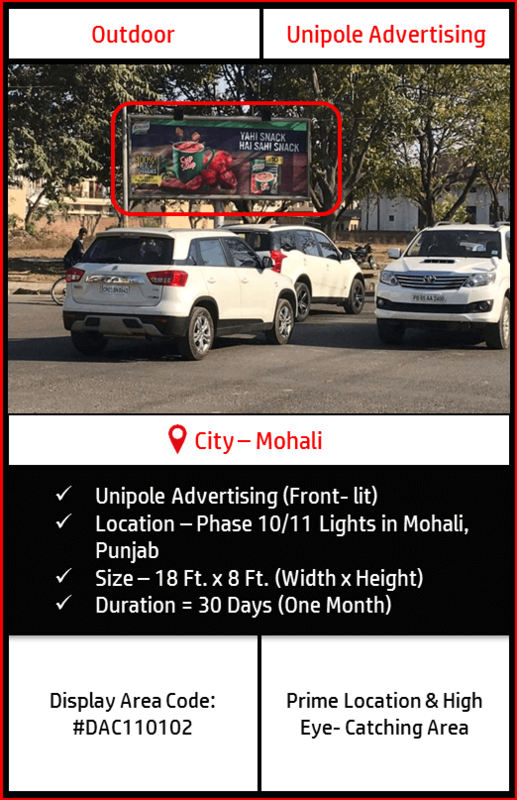 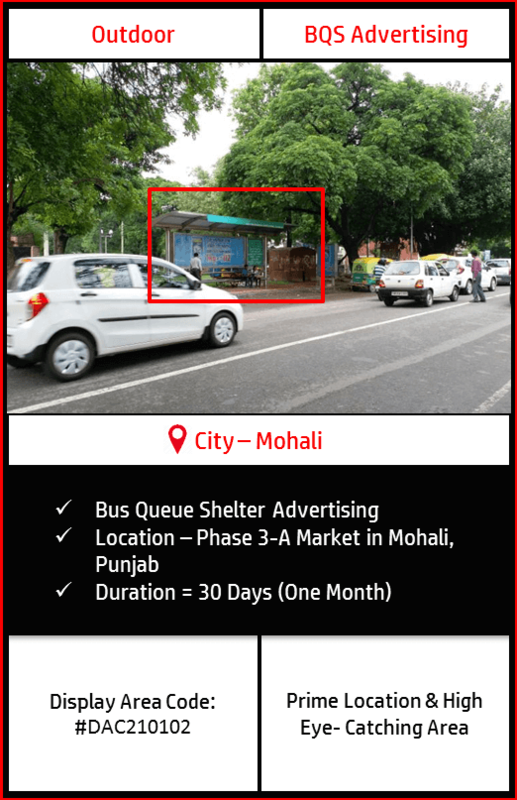 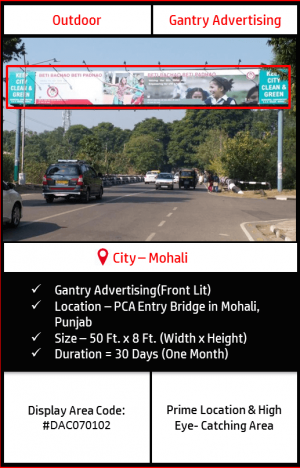 Make Your Own Outdoor Advertising campaign in Mohali City by choosing from the variety of high-grade Advertising options below! 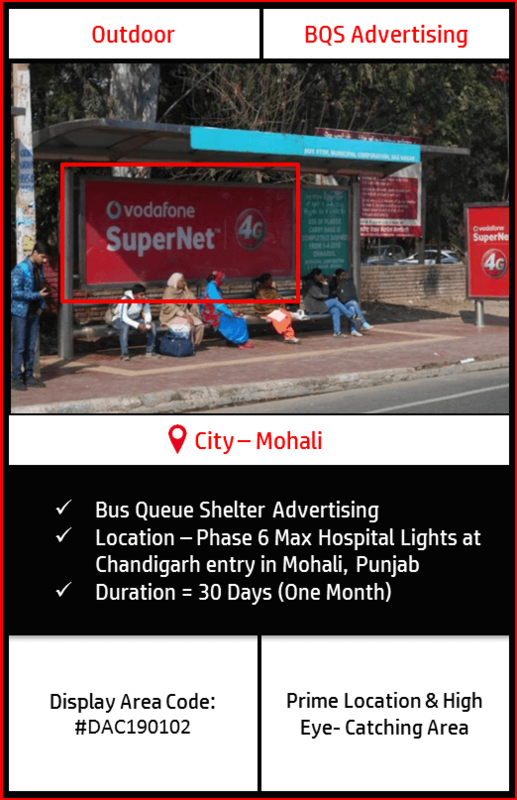 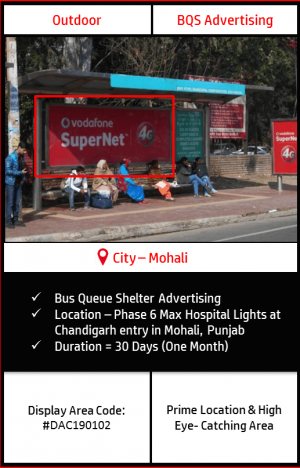 Why Advertise in Mohali, Punjab? 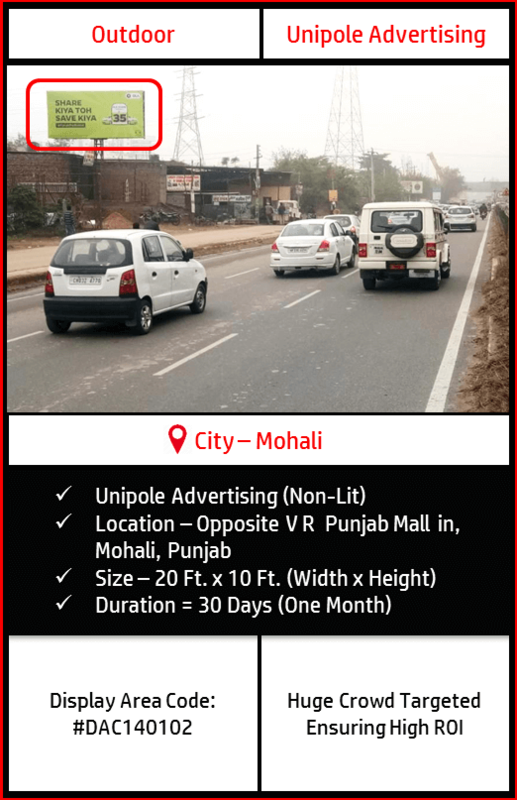 Mohali, Ajitgarh or Sahibzada Ajit Singh Nagar is a city in the Sahibzada Ajit Singh Nagar district (SAS Nagar) in Punjab, India, which is a commercial hub lying south-west to the Union Territory of Chandigarh. 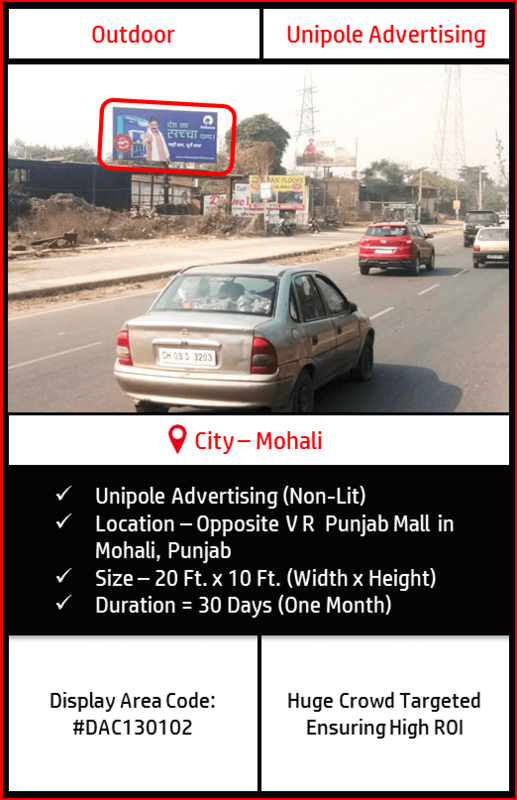 It is one of the most Crowded city in Punjab having the capacity to target a massive footfall plying from the whole of Punjab & other neighboring states. The city also witnesses the famous International Cricket Stadium – PCA Mohali, & the International Airport as well. 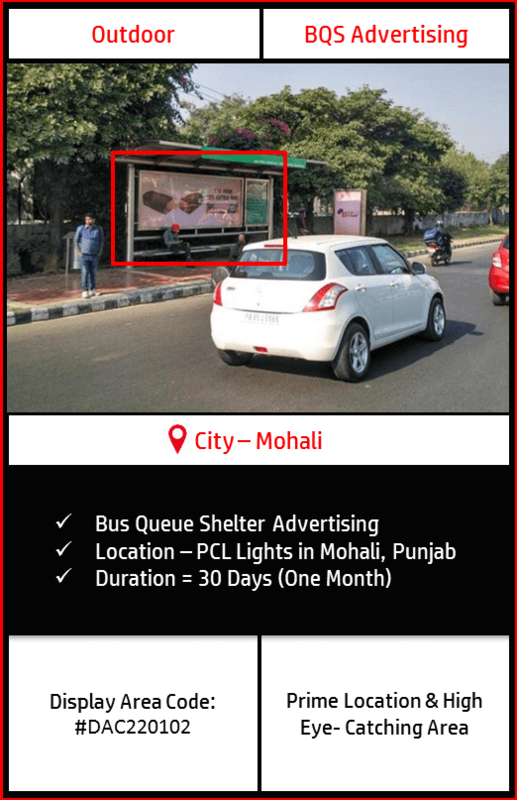 It is developing rapidly to the next promising Commercial & IT Hub. 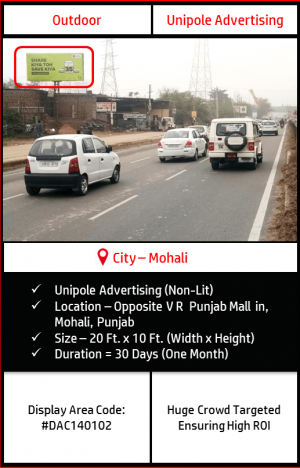 The City Mohali is the center Point joining Punjab and Chandigarh, which means the entire population of both Punjab and Chandigarh is linked with Mohali. 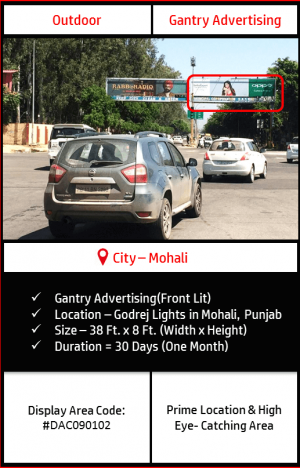 The strategic locations of various outdoor advertising options the city has to offer to, ensure that the massive footfall is targeted giving your outdoor campaign an absolute ROI. The Duration of The Selected Campaign will be for 30 Days i.e. 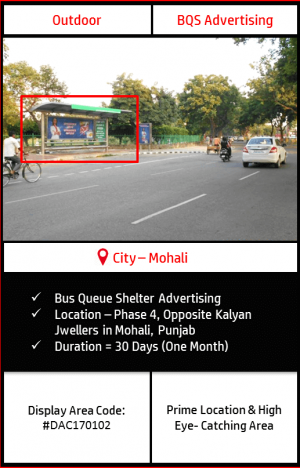 for 1 Month. BMK will share, with the client, the exact dimensions of the media chosen before booking the campaign. 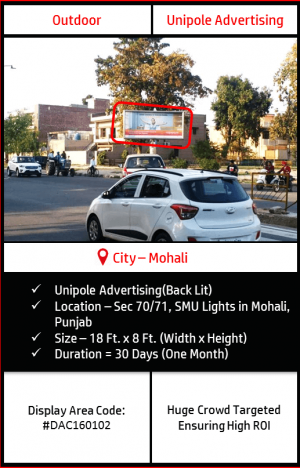 One Time Printing & Mounting Charges are absolutely Free for the client and will be borne by BMK itself. 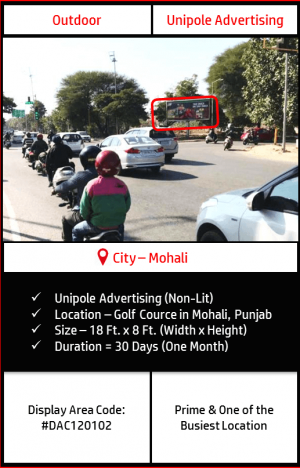 The availability of the media chosen will depend upon the time of bookings. 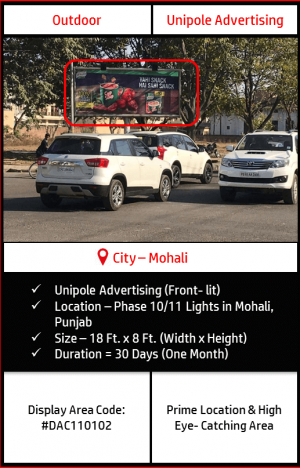 Outdoor Advertising helps your brand target the huge masses through its various forms like Unipole, Billboards, Hoardings, Posters, Wall Wraps, Bus Queue Shelter Advertising etc. 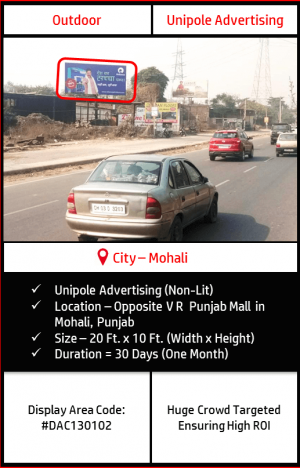 No time limit. The brand message is conveyed properly through this medium since interested target audience can take as much time as they want to understand the communication effectively.